Which refills do I need for my e-cigarette? : The Electric Tobacconist Ltd. If you're looking for refills for your e-cigarette, it's important to buy the right ones. E-cigarette refills are not one-size-fits-all, and they are available in several varieties. Shop our full refill range by clicking here! Gamucci Micro E-Cigarette Starter Kit: the Micro takes Gamucci E-Cigarette Cartomizer Refills, available in Original Tobacco and Menthol. You can also use Hoxton Classic refills and Vapestick cartomizers with the Gamucci battery. 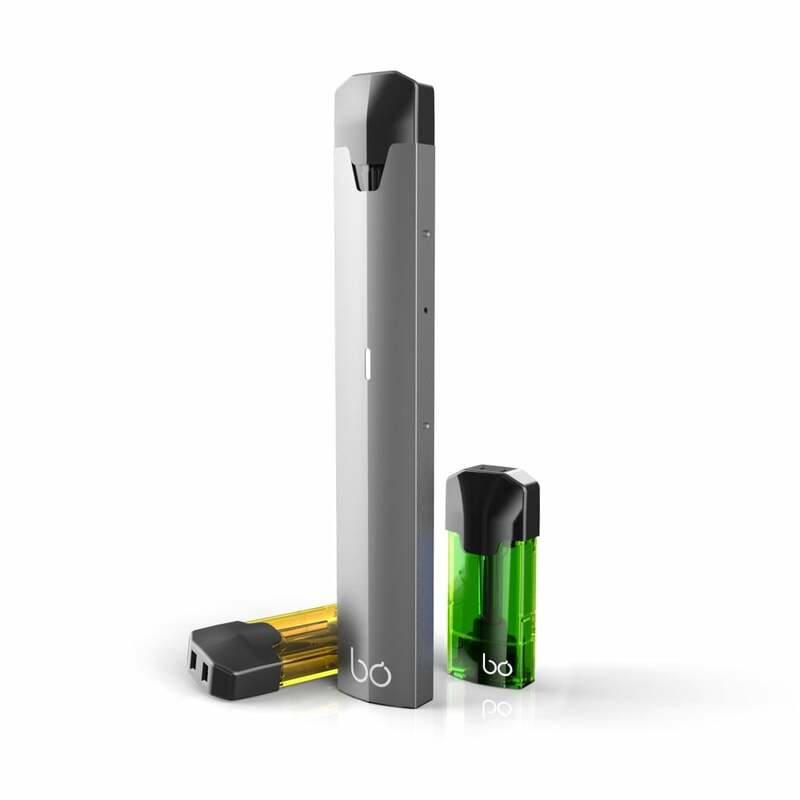 Halo Cigalike Battery or Halo High-Capacity Cigalike Battery: Halo Batteries take Halo E-Cig Cartridges, available in Tobacco and Menthol. You can also use VIP Cartomizer Refills with Halo batteries. Hoxton Classic: the Classic takes Classic refills, available in Tobacco and Menthol. JAC Vapour V3i Social Starter Kit: the V3i Social kit takes JAC Vapour Cartomizer Refills, available in Tobacco (Black), Tobacco Reds USA (Black), Tobacco Virgin (Black), Cherry (Black), Menthol (Black), Tobacco (White), Tobacco Reds USA (White), Tobacco Virgin (White), Vanilla (White), Cherry (White), Menthol (White), Mint (White), Blank Cartomizers, Blank Cartomizers (Low Resistance) and Blank Cartomizers (50mm - Extra Capacity). Logic Vapes Curv Starter Kit: the Curv takes Logic Curv E-Tips, available in Tobacco and Menthol. Logic Vapes Pro Starter Kit: the Pro kit takes Logic Vapes Pro E-Liquid Capsules, available in Tobacco, Menthol, Cherry and Vanilla. OK E Cig: the OK E Cig takes OK E Cig Cartomizer Refills, available in Tobacco. Socialites Cigalike Starter Kit: the Socialites Battery takes Socialites cartomizers, available in Gold Tobacco, USA Tobacco, V Blend and Mint Blast. Vapestick XL E-Cigarette Starter Kit: the XL kit takes Vapestick Cartomizer Refills, available in Original, Menthol, Rolling Tobacco and Vanilla. Vapourlites E-Cigarette Starter Kit: the Vapourlites starter kit takes Vapourlites Cartomizer Refills, available in Tobacco and Menthol. VIP E-Cig Starter Kit: the VIP E-Cig kit takes VIP E-Cig Cartomizer Refills, available in USA Tobacco, Double Menthol, British Gold, Virginia Rolling, Vanilla, Strawberry and Cherry. You can also use Halo Cartomizer refills with the VIP Vape Kit. Vype ePen Starter Kit: the ePen takes Vype ePen Refill Caps, available in Blended Tobacco, Crisp Mint, Dark Cherry, Golden Tobacco, Infused Vanilla, vPure (Neutral Flavour), Fresh Apple, Green Snap (Apple & Mint), Indigo Dive (Blackcurrant & Menthol), Scarlet Kick (Red Berries & Mint), Strawberry Smash (Sweet Strawberry), Honeydew Splash (Honeydew Melon), Peach Swirl (White Peach & Floral Notes), vPro Crushed Mint (Mint & Vanilla), vPro Wild Berries (Wild Berries & Vanilla) and vPro Master Blend (Roasted Tobacco, Cream & Nuts). Vype eStick Maxx Starter Kit: the eStick Maxx takes Vype eStick Maxx Cartridges, available in Toasted Tobacco and Cool Spearmint. Vype Pebble: the Pebble takes Vype Pebble Refills, available in Master Blend (Tobacco), Tingling Mint (Cool Mint & Vanilla), Wild Berries (Rich Berries & Vanilla), Fresh Apple (Green Apple Blend) and Smooth Vanilla (Vanilla & Amaretto). 10 Motives V2 Rechargeable E-Cig Starter Kit: the V2 Rechargeable Kit takes 10 Motives Refills, available in a range of flavours, which you can shop here. Shop our full range of cartomizer refills here. Vape pens, sometimes referred to as e-liquid starter kits, normally consist of a battery and a refillable tank. Vape pens give you more flavour options than cigarette-style kits, since you can refill your tank with the e-liquid of your choice. The only point to note is that you should get an e-liquid with the right PG/VG balance for your coil. Click here for an article explaining the differences between PG and VG. Unless you're using a kit designed for sub-ohm vaping, make sure to choose an e-liquid with a 50/50 PG/VG balance or with higher PG, as high-VG e-liquid (60% VG upwards) is too thick to be absorbed by non-sub-ohm coils. If you try to use a high-VG e-liquid with coils with a resistance of 1ohm or over, you are likely to experience an unpleasant burnt taste and you will damage your coils. Certain vape pens may be able to handle a maximum of 60% VG e-liquid if their coils have larger wicking holes; the Aspire K2 and K3 can both manage this. Vape Pens and Nicotine Strength: the vape pens above are all suitable for use with higher-nicotine e-liquids (12mg and above), as well as with liquids at lower nicotine strengths. We do not recommend using high-nicotine liquids with sub-ohm kits, as the throat hit will be very harsh. Aspire Gusto Mini: the Gusto Mini takes pods from the Element NS20 range, which use nicotine salts for a satisfying nicotine hit without the harshness of strong freebase nicotine. Shop the Element NS20 pods range here. BO One or BO Plus: the BO One and BO Plus take BO Caps, which are available in a wide range of flavours. Shop the BO Caps range here. Hexa: the Hexa uses a mix of freebase nicotine and nic salts for a satisfying, cigarette-style vape. Shop Hexa pods here. Kilo 1K: the Kilo 1K is a slim pod system with a range of nicotine salt refills, all blended by the famous Kilo. Shop Kilo pods here. myblu: the myblu takes pre-filled Liquidpods which are available in a range of flavours, with nicotine salt options available. Shop myblu Liquidpods here. Mylo Stick: the Stick is a sleek nicotine salt pod mod that uses Ohm Brew e-liquid in its refills. Shop Mylo pods here. Vype ePen 3: a pod-style addition to the popular ePen range, the Vype ePen 3 offers a range of convenient refill pods. Shop ePen 3 pods here. Logic Compact: the Compact is a sleek addition to the pod mod market from the reputable Logic. Logic Compact Pods are available here. Ald Amaze Epoch: the Epoch is a palm-friendly pod kit with a sturdy metal finish. It uses its own branded nic salt pods. Epoch pods are available here. 88Vape Pod Pen: Made by the creators of the popular £1 e-liquid range, the 88Vape Pod Pen uses great-value nic salt pods. 88Vape Pods can be found here. SMOK Nord: the SMOK Nord uses replacement pods, and the coils can be changed too! You'll need SMOK Nord Coils and Nord replacement pods. JustFog Minifit: the Minifit also takes replacement pods, which come in a pack of 3. The JustFog Minifit Pod Pack can be found here. Innokin DV: the Innokin DV is a versatile pod mod that uses replacement pods that come with a 3D mesh coil. The Innokin DV Pod pack can be found here. SALT/Suorin iShare: the iShare uses small refillable pods that come in packs of 3. iShare cartridges can be found here.